Three drivers have registered for the BOSS GP OPEN class at the “Peroni Race Weekend” in Imola (CZ). Season races 13 and 14 will take place at the circuit in the north-east of Italy. 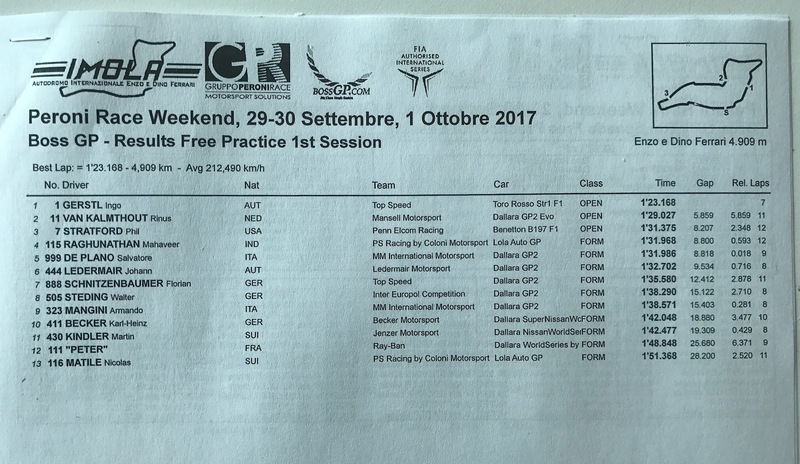 The first free practice was scheduled on Friday morning (29th of September) at 10:20 a.m. It was a smooth practice session under great conditions. Both BOSS GP classes – OPEN and FORMULA class – went on track together for the practice session. Weather conditions in Imola are great: 17°, sunny and dry. With the exception of one red flag phase, due to a spun off the track by FORMULA class driver Walter Steding (Inter Europol Competition), practice turned out well and ran smoothly. All three OPEN class driver tested their cars on the track. Austrian Ingo Gerstl (Top Speed) led the grid and set the speed on the legendary track in his Toro Rosso STR1. He performed his best lap in 1:23,168 min. Dutch youngster Rinus van Kalmthout (Mansell Motorsport), back on track for the BOSS GP after racing the USF2000 Series during the last monts, followed with the second best lap time of the practice session in 1:29,027 min with his Dallara GP2 Evo. Phil Stratford (Penn Elcom Racing) finished the practice session on position 3 of the overall grid as well of the OPEN class grid. The American performed his best lap in 1:31,375 min with his Benetton B197 and raced a total of twelve laps on the 4,909 km long track. 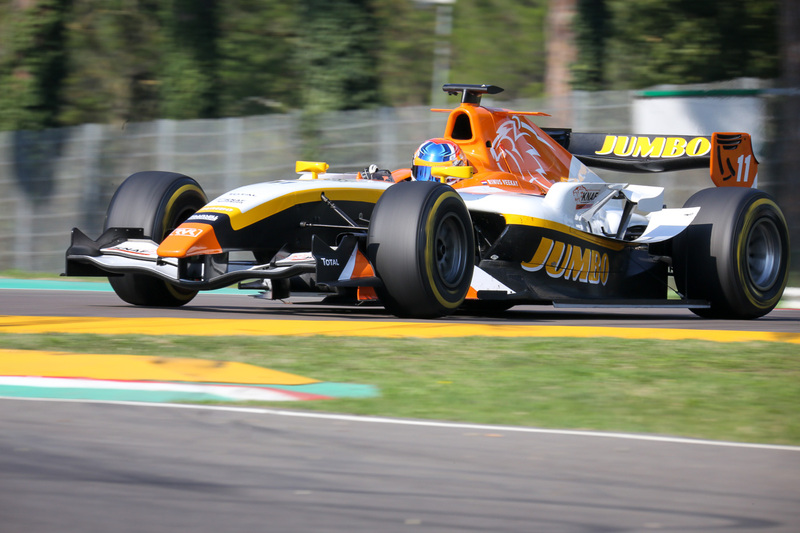 Rinus van Kalmthout on track in Imola 2017.